Like the title says, where are some good/fast places to level through 87 and up? I do plan to reach lv100 so I can equip my gears that I prepared. I heard some say mutated dungeons are the fastest way? Up to what level do I move on? Or are there better places? I'm not completely sure . If you are a level 100 would you also share roughly how long it took you? This depends on what class you’re playing. 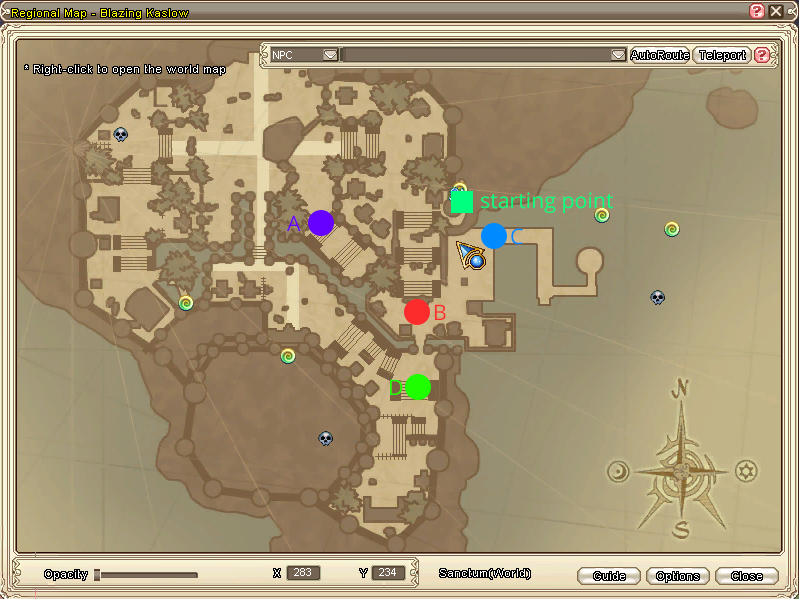 Like, if your class lack AOE skills like Darkstalker or maybe Sharpshooter I think it’s better to map grind at Port Riptide or DP. Other class who can nuke can do MBFR from 86-88 then MFT til lv 94 then MBK 94-100. You might struggle in MBFR and MFT because both dungeon is a pain with their burn and debuffs. But you will get quite an amount of EXP you want there. When you reached 94 things will get so much easier, MBK gives like over 800k per monster with exp boost and charms. I completey agree with Ponxy's answer, it would very much depend on the class you are playing. If you could provide that info along with your gear, we could give you a more precise answer! But for a general over look, Ponxy has a great point about PR for a DS/SS, and MBFR/MFT/MBK being a good place for classes with AOE. Gone to 100 a total of 4 times ( have reborn two chars from 100. I'll include my rl commitments to give a scope as this will probably drastically affect your ability to grind. 1st time (Uni + Work+GS) - 6 months from 77-100. Doing dailies everyday with lover. Commitments kept me busy during the week. Mostly grinded on weekend. 2nd time (Last semester of uni + uni representative) - 1 month from 1-100. Reincarnation gem gives 11 billion experience so that helped significantly. Used gem to get 88 then PR grinded. Did also do dailies. I had reincarnated this character at 66 so I only had to level it once. Only time (Semester break of uni) 3-4 weeks from 77-100. Incredibly easy class to level once geared. Brawler TC + Fission Interference AT with Island transformation buff. There was two periods of 3x experience that greatly assisted. Almost exclusively mutated dungeons on this character. Please note this time period also includes some time taken away to make the 80 yellow GM set. Weapons and heavy cannon were paid to be crafted. I had made this character with the intention of getting the precious nuclei on my mage account. So I really skimped out on getting anything that wasn't absolutely necessary (literally only had the +5% AT and level 4 normal talents). Only time (Was completely free and living alone) 1 month and 6 days from creation to 100. Dreamer's Plateau is incredible for mages, MBK from 94+. Took longer than anticipated because I was making 90 yellow set (1 week). Summary: I think just about anyone can get to 100 on any class in 6 months if they just put a small amount of time aside for GF. Wow thanks for the fast replies! I forgot to mention I am a lv87 Deathknight. For gears i use 85 yellow axe, 70 leech, 75 purple axe with power stones, 75 purple gun with prec, power, att stones, 3pc 80 yellow set with 2pc purple chest and pants slotted with %movespeed, %def, and %m-def stones. Masteries are done also. All gears are fortified to +17. However, certain runs in MBFR I am unlucky and the mobs chain-stun me to death. I also find that I get instantly stunned again even when the 65 shield cures me. I have more or less 11k m-def but still taking a couple thousand dmg each time a mob nukes me. The constant risk of death makes this dungeon feel clunky to grind in. For MBFR it's aoe the moonface mobs and reset, but what about MFT and MBK? How does one run usually go in those dungeons? MFT: Depends some melee classes have been able to do it well. On Mechmaster it was no issue because any debuffs on me kept on getting cured thanks to fission interference. It was a no-go for Shinobi because i lost my triples to continously getting exhausted. I have head of Destroyers with big burst dps being able to do fine in there, so I'd still give it a go especially with Island buff. (Shinigami: AoE all the worms and reset, Mechmaster: AoE all mobs to the end of the Ants where Hawkmo spawns). MBK: I can't comment on Destroyers here but it was a no-go for Shinobi unless it 3x. Both Shinigami and Mechmaster did fine here in yellow armor. It's always a good way for a destroyer to level through MBK given you have the decent gear to take with you, a lot of MBK is debuff based so buffing up your defense as much as possible is a general misconception. You need as much DPS as possible. You need to kill these things before they kill you. Some form of evasion would help a lot with swarming mobs, make sure to always take your 65 yellow shield and/or gvg shield with you when running. Probably the best gear you could go with is the taro set at 90, unless you have a 91+ legacy set that is heavily forted. As for your weapons, if you could splurge on a level 90/95 purple axe, that could help you lots. Now, depending on how squishy you are, you can run it in several different ways. I always made sure to figure out stopping points to see which ones for me were more efficient, both in staying alive and killing the fastest. Below I have mapped out stopping points I used to experiment with. At first I would suggest trying out starting point to point A, point A to point C, and so on. However if you feel confident enough you can do starting point to point C or to point D, as I've noticed from my runs those yielded more mobs/exp for me. Hope this helped! Good luck. Thanks everyone for the detailed responses! I'm going to go level now! All of the said options above are true. One thing is grinding PR all the way to 100 but if you can do MBFR/MFT/MBK then it will take you faster than anticipated. you can level in PR 86-100 in a week or two with full buffs if your fully charmed and gem... with a bit of time on your hand too.